Every home should have a home medical library. Back in the pre-internet days nearly every household had a book where mama could look up symptoms and see what kind of illness a kid, husband, or mama herself had come down with. The book would also tell what steps could be taken for home treatment if possible. Today when we have a home malady the first stop is the inter-net, but you have to remember how fragile the inter-net is. A natural disaster, cyber warfare, of the government itself could close down the inter-net in a heartbeat. Don’t get left in the dark for information. 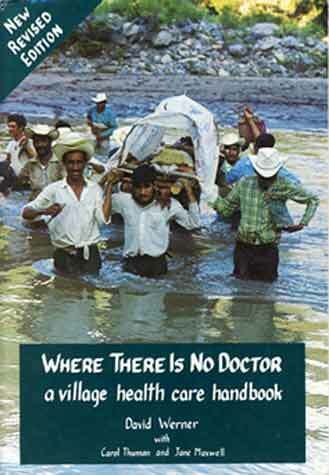 Buy some good home medical books. Download information from the inter-net, print it off, and put it in a labeled binder. 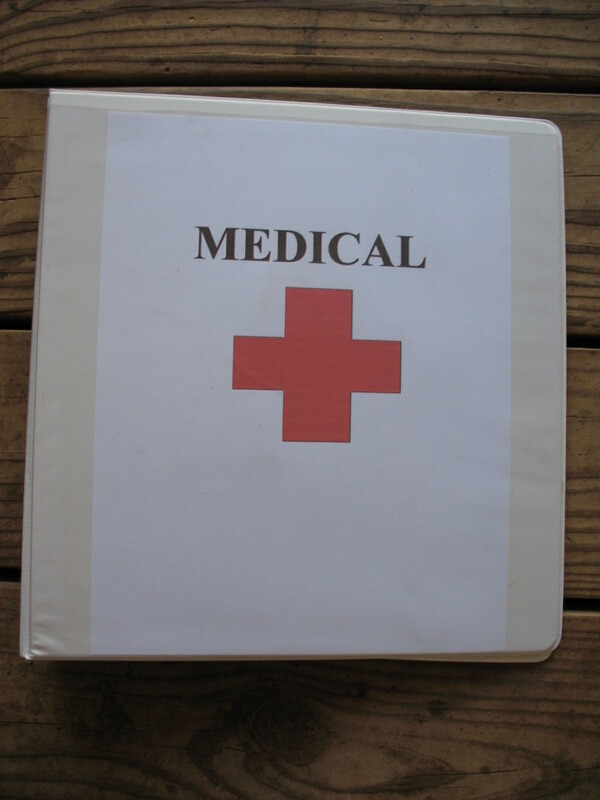 Pictured below: Binder where I keep medical information printed off the net. 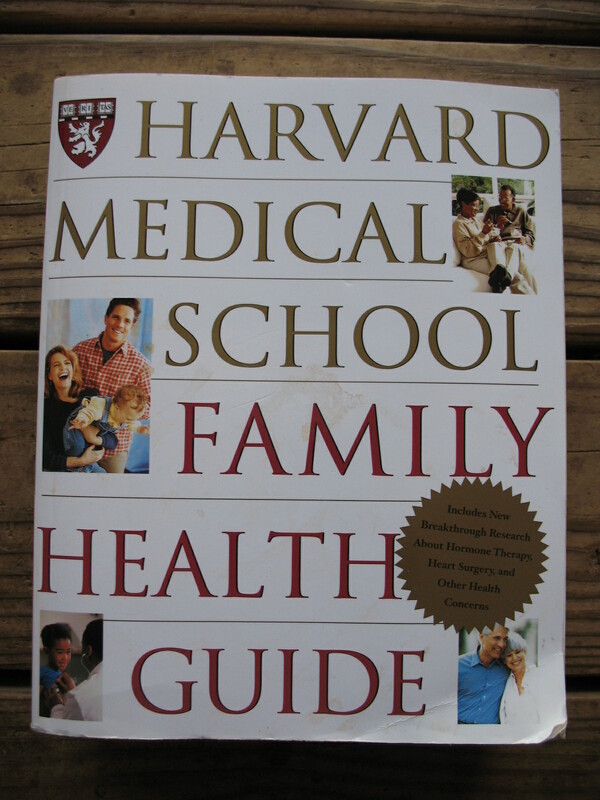 For quick everyday reference I keep a copy of the Harvard Medical School Family Health Guide in my library. This guide is easy to use and can help you diagnose and treat minor illnesses, or advise you if you need to see a doctor for treatment. 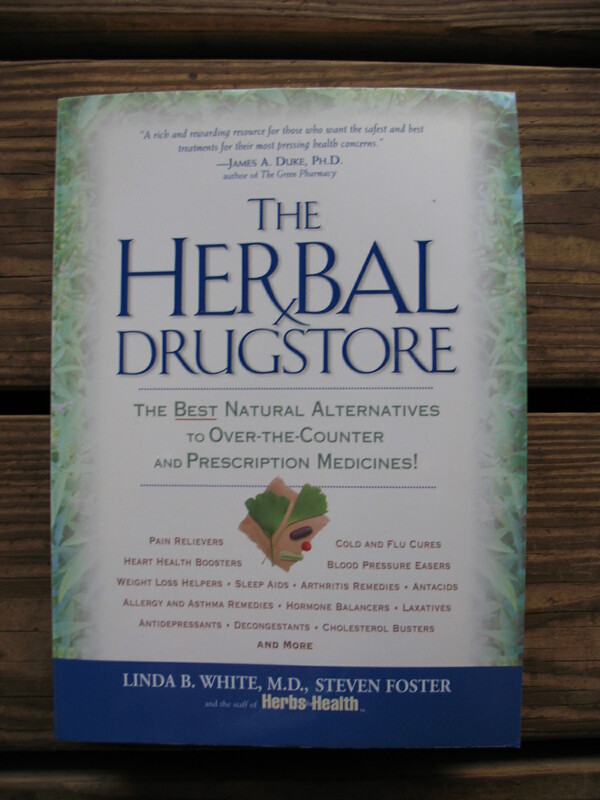 The Herbal Drugstore by Linda B. White, M.D. and Steven Foster is a good book for holistic medicine. It lists various complaints, then tells what modern medicines are used to treat them, what essential oils can be used to treat them, and what herbs can be used to treat them. Could be very handy when the medicines run out. 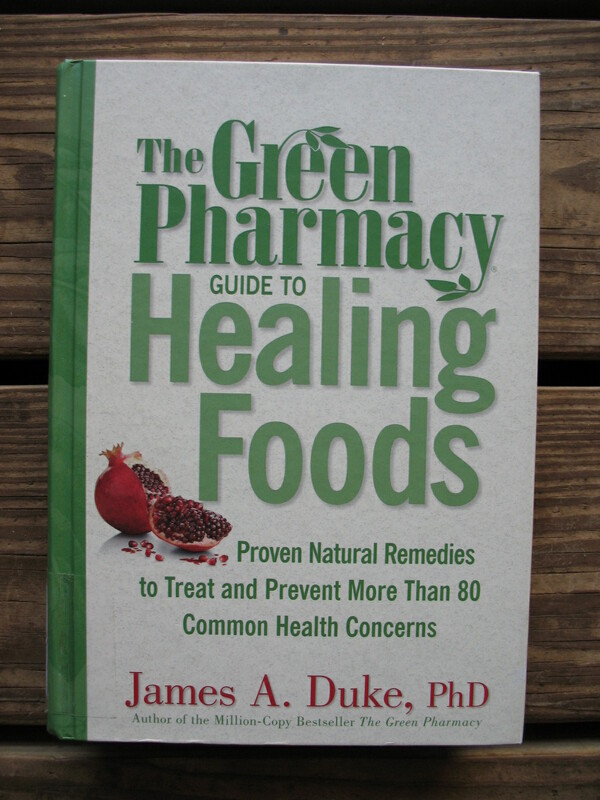 The Green Pharmacy Guide to Healing Foods by James A. Duke PhD is another holistic medicine book that lists herbs and foods that may be eaten to prevent and help cure various illnesses. I keep a paperback copy of the Physician’s Desk Reference in my library. 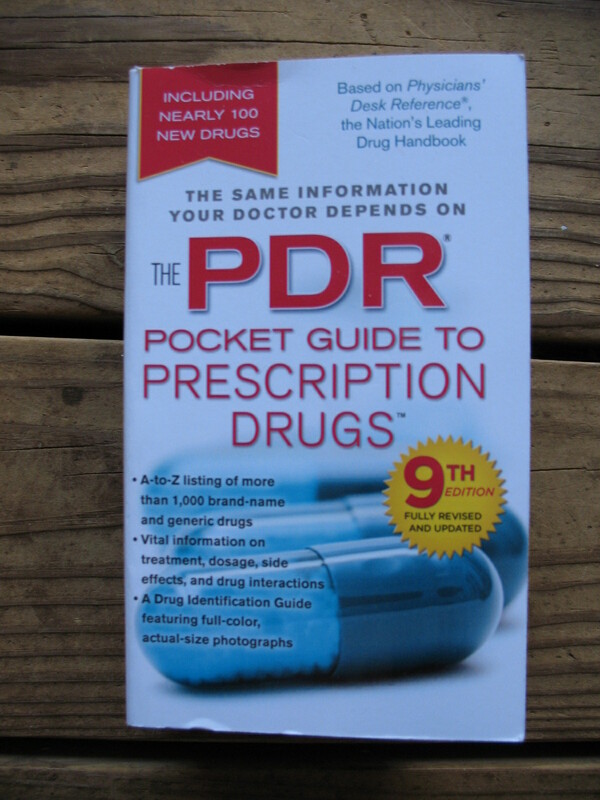 This book lists prescription medications, the complaints they are used to treat, and common dosages used for adults and children. I would discourage anyone, except a licenses physician, from attempting to practice medicine on themselves or anyone else except when there is absolutely no other choice. But if there is no other choice I personally would want as much information as I could get on this subject. Of course I can’t vouch for the accuracy of any of the advice given in any of these texts. Use them at your own risk, but I will say that I have all of them in my home medical library.